From the first time I heard it, this stuck in my memory and has never left. That’s probably more than 40 years. I think the reasons why it stuck should be obvious. If they aren’t, let me suggest you read (among others) Shirley Jackson’s short story “The Lottery.” If that doesn’t do it, let me know and I’ll give you a reading list. Oh yes, and double, triple, yes I agree…I did not use this for my daily post, but it is a poem that has always stayed with me…so contained and simple, and oh so beautiful. And it says so much … in so few words. 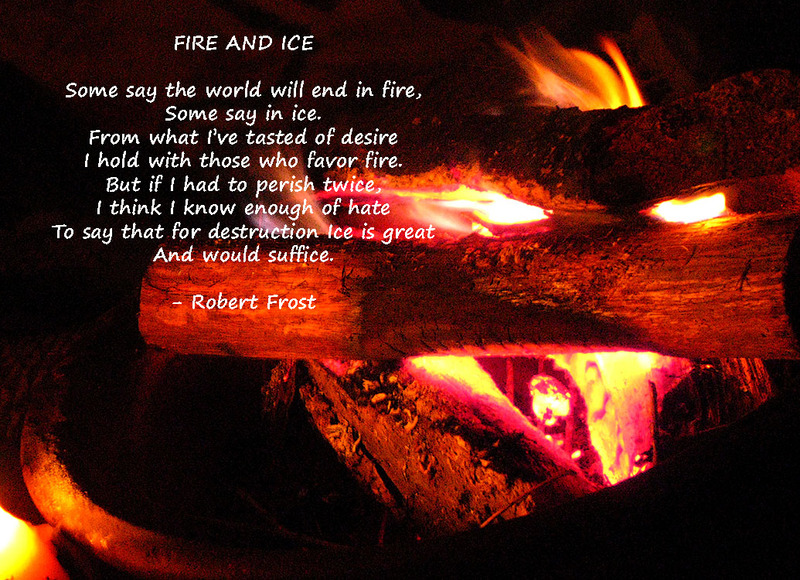 I am not great in poetry, have a somewhat slanting glance on poems from the wrong side However Fire and Ice reminds me of a TV programme we had now and again in the cold days of Swiss Winter where they decorated the cold ski slopes with flaming torches and you could see the skiers cavorting down at night – it was very impressive against the dark background. There you see, I didn’t even know they had stolen the title of the programme from a Robert Frost poem. Robert Frost was a local guy. We have his portrait in our house. 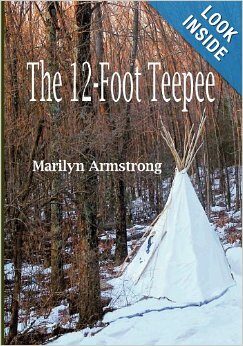 He was born and raised in New Hampshire and Garry interviewed him twice, shortly before he died. He is the voice of the region … he uses metaphors of things that if you live around here, are familiar. The rock wall, the bending birch trees, the streams and rivers and woods. I’m not a bit fan of poetry either, but I like Robert Frost and because he talks about things to which anyone from these parts can relate, I can always find an appropriate photograph to go with the poem. We do a fire and ice (or fire and water, depending on temperature) thing in December in town. They put big oil drums with fires in them in the water along the dam in the middle of town. Very pretty to look at when the world is all frozen. That is very interesting. We read Robert Frost in the school as one of the “modern” poets. I did not realise that he was a local bard. It really brings his poems nearer being nearer. We have a local writer (Peter Bichsel) who is probably only known in Switzerland and surrounding countries, but it does bring you nearer when you actually see the person sitting in town. My husband knows him. I will have to read Robert Frost. He is very accessible, especially compared to many other poets. Love that quote. Thanks for sharing it!